Farming has been in John Connell's family for generations, but he never intended to follow in his father's footsteps. Until, one winter, after more than a decade away, he finds himself back on the farm. Connell records the hypnotic rhythm of the farming day—cleaning the barns, caring for the herd, tending to sickly lambs, helping the cows give birth. Alongside the routine events, there are the unforeseen moments when things go wrong: when a calf fails to thrive, when a sheep goes missing, when illness breaks out, when an argument between father and son erupts and things are said that cannot be unsaid. The Farmer’s Son is the story of a calving season, and the story of a man who emerges from depression to find hope in the place he least expected to find it. It is the story of Connell's life as a farmer, and of his relationship with the community of County Longford, with his faith, with the animals he tends, and, above all, with his father. JOHN CONNELL’s work has been published in Granta’s New Irish Writing issue. 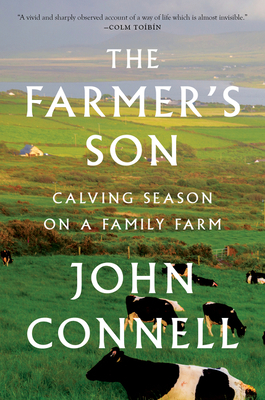 His memoir, The Farmer’s Son, was a #1 bestseller in Ireland. He lives on his family farm, Birchview, in County Longford, Ireland.